Free Christmas Printables to Celebrate the Joy of the Season - Lovely Etc. These free Christmas printables are a quick and easy way to add holiday cheer to your home without spending a dime. 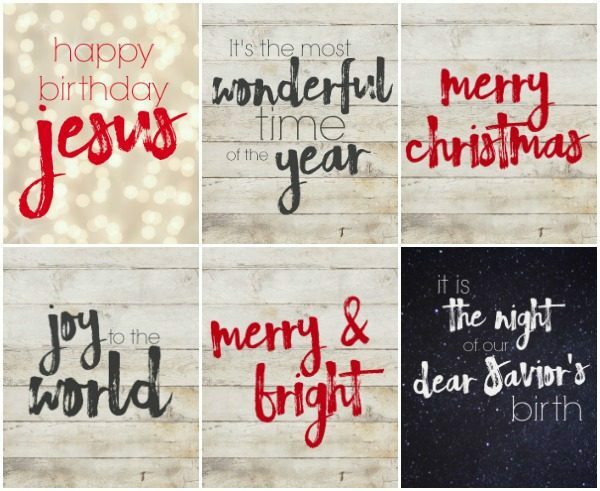 There are six different designs that all celebrate the true joy of Christmas. 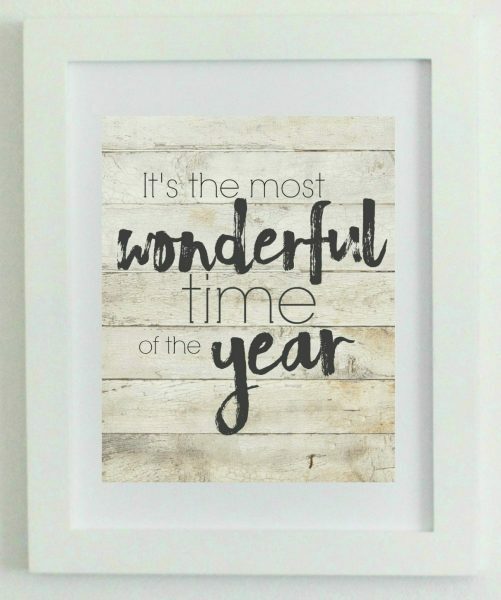 I love decorating with free printables any time of year, especially at Christmas. You really can’t beat free and they take pretty much no space to store. And all you have to do is print them out and pop them in a few frames you already have out in your home. Or they also make a fun inexpensive gift: just put one in a cute frame and wrap it up! I was really feeling the holiday spirit this year so I put together a collection of 6 fun Christmas printables. Four have a ‘rustic wood’ background – perfect for adding a touch of modern farmhouse style to your Christmas decor. 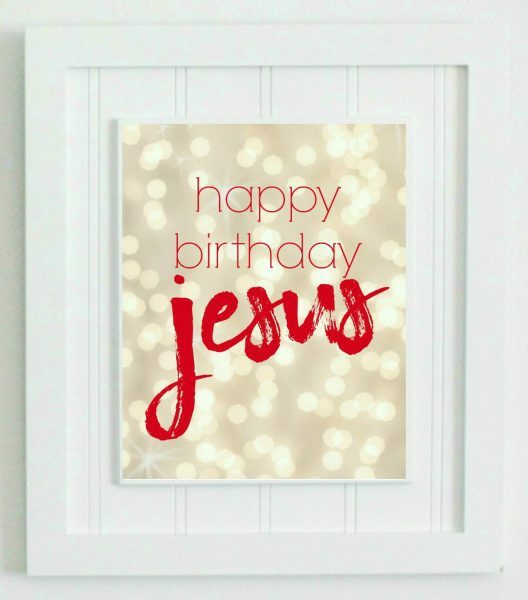 I also put together a couple of free printables that focus a little more on the reason we actually celebrate Christmas. I really want to make sure my boys get the message that Christmas is more than just a celebration of giving and receiving gifts. It is a celebration of the birth of Jesus. And this last one is my favorite. 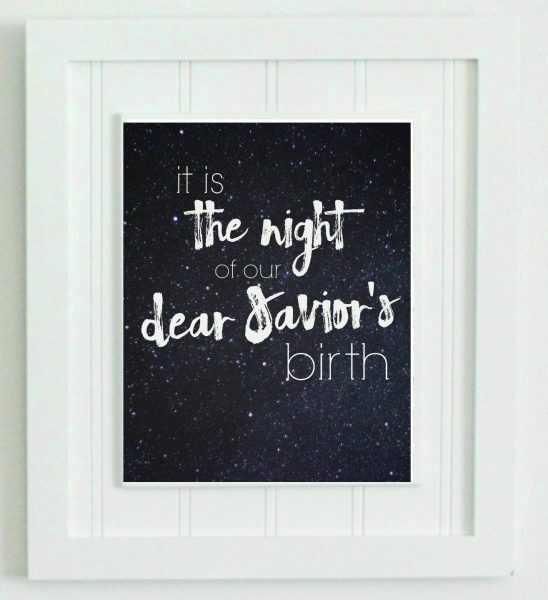 It is one of my favorite lines from the song Oh Holy Night and it just makes me want to sit and think about what an amazing night that truly was. I have all 6 printables formatted to be printed as 8x10s perfect for framing. And I’ve put them into a pdf file that is super easy to download and print. tried with two different emails to get your printables… but nope. I am so sorry the sign up wasn’t working for you Kristi. I have got it all fixed up now.